After the highly successful international introduction at the Geneva International Motor Show in 2017 and subsequent presentations throughout Europe and the Far East, the Dendrobium D-1 electric hypercar has taken its next steps towards production with an all new company, Dendrobium Automotive Limited, now established in the UK. Nigel Gordon-Stewart is Chairman and CEO of Dendrobium Automotive Limited. Gordon-Stewart has been working in the premium and supercar markets since 1989. He is best known for pioneering the sales and marketing of the McLaren F1 and subsequently as Sales & Marketing Director of Automobili Lamborghini SpA reintroducing the Super Velocebrand with the Diablo SV and SVR. He was later an Associate Director to the Board at Group Lotus Plc among other senior roles. 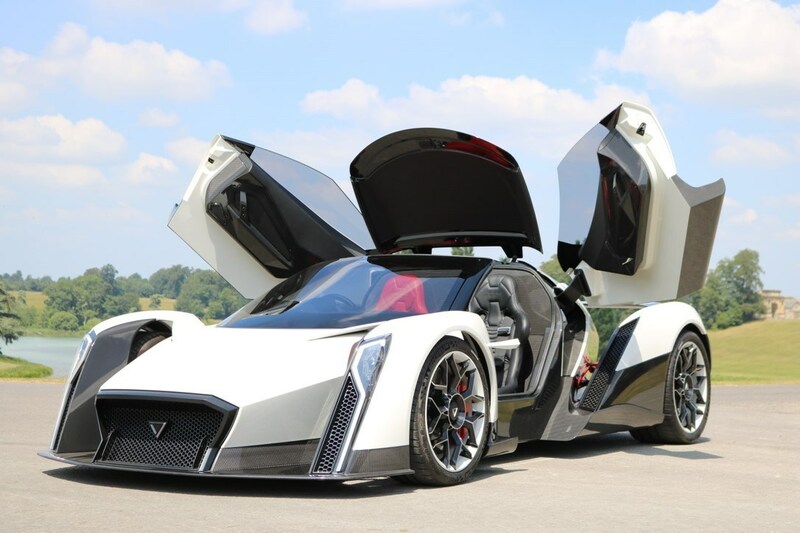 "Dendrobium Automotive is one of the most exciting businesses I've ever been involved with," commented Gordon-Stewart. "Using the very latest technology, we are developing, what will be, the most impressive all-electric hypercar. We are designing our own in-house all-electric power train and we plan to use our own power storage cells moving to Solid State as and when the technology is reliable and financially viable. We are developing unique cabling and connector systems as well as our own complete vehicle integration and ADAS hardware and software. From a technical perspective, the D-1 will be a British engineering tour-de-force." The headline specification targets of the D-1 are as impressive as you'd expect from a hypercar in this sector: 1,800 bhp; 2,000 NM and a target weight of 1,750 kgs yet it must represent the true feel of a supercar, not big and heavy. Performance will be very impressive and as linear as possible in its delivery, re-writing the rules for the experience of hypercar ownership. 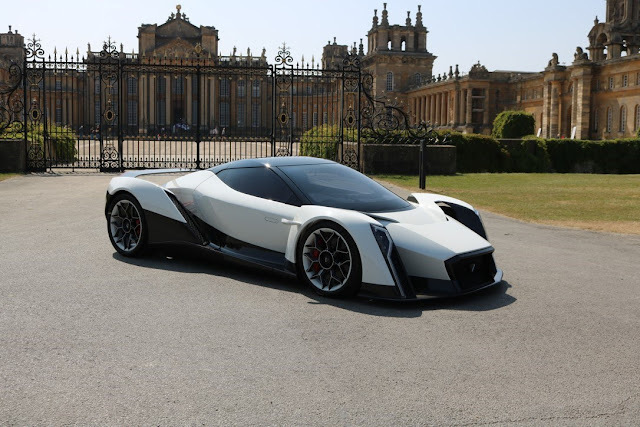 "The car is all carbon fibre, advanced composites and alloys which are superlight and super strong," stated Jens Sverdrup, Member of the Board of Dendrobium Automotive Limited. Sverdrup has a highly successful background in the supercar industry having worked with Lamborghini, Ferrari and Pagani but is best known for establishing the Koenigsegg brand on the map to the extent that it's now one of the most desirable and highly valued brands in the supercar sector. Recently he's been responsible for raising Rimac Automobili's profile globally. "The construction of the D-1 is based on a unique Protocell carbon tub which possesses future adaptability for further generations of Dendrobium e-performance cars. Apart from advanced vehicle technology, the D-1 has enormous drama and presence thanks to our unique Bio-Aerial Locomotion door and roof opening system which was inspired by the Dendrobium name. A lot more details will be revealed over the coming months, not the least of which will be the D-1's impressive range and rapid charge time. You can be assured that the Dendrobium brand will become synonymous with the most exciting and technically sophisticated e-hypercars on the market and available globally." "Although all the Dendrobium team has automotive blood running in their veins, we are essentially a technology company developing ultra-performance EV and PHEV cars, systems and components," continued Gordon-Stewart. "Our Advisory Board is chaired by Michael Kimberley who created Lotus Engineering back in 1978 with Colin Chapman which has provided engineering consultancy and technology services throughout the automotive industry with clients from Toyota to Aston Martin. We want to be part of Britain's resurgence of technology development and best quality manufacturing because the very high standard of British engineering and manufacturing is still highly respected worldwide. It's one of the things that sets the UK apart and nowhere more so than in performance automotive engineering, technology and motorsport. We see very exciting times ahead with Dendrobium Automotive." The D-1 will be officially publicly exhibited, for the first time in the UK, at Salon Privé in September. "We choose Salon Privé for our debut because of the sheer prestige of the event and the ability to engage one-to-one with potential clients, key industry figures and business people," said Gordon-Stewart. "Blenheim Palace is the perfect location for us being right in the heartland of automotive and motorsports technology in the UK so easily accessible on the public day. His Grace, the Duke, is very enthusiastic about the automotive industry here in the UK and his support for that is very obvious. We're very much looking forward to September."